On the Sunday before the opening of Doreen Fletcher’s RETROSPECTIVE next week, I thought I you would show you a few of Doreen’s paintings accompanied by the stories in her own words. 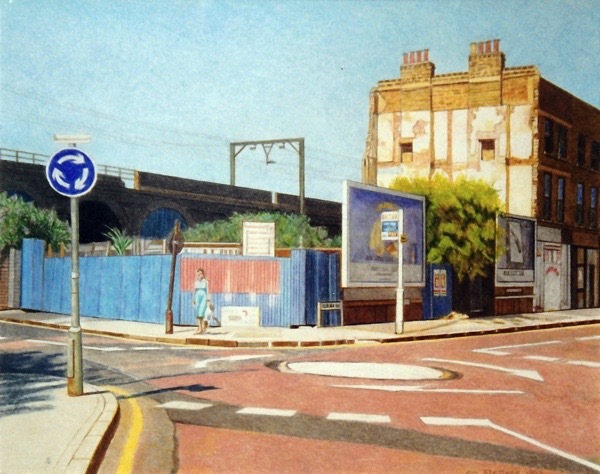 All are welcome at the Private View of Doreen Fletcher’s RETROSPECTIVE at Nunnery Gallery, Bow Arts, on Thursday 24th January from 6pm. The exhibition runs until 24th March. 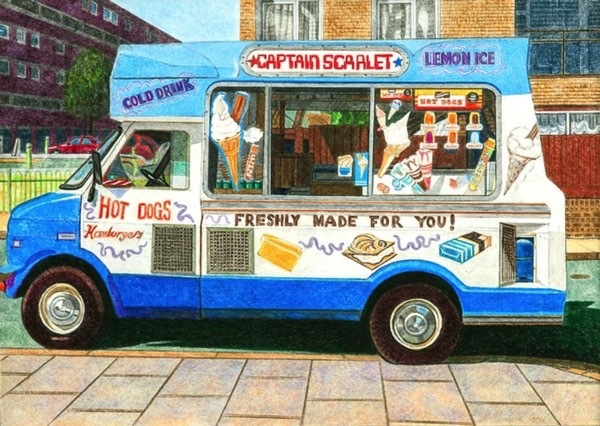 “One of the best remembered pleasures of my childhood was to hear the tinkling tune of the ice cream man that would have me running out into the street. My drawing of this parked van is waiting for the school exodus on the corner of Rhodeswell Rd and Dora St on the Lockesley Estate, Poplar. “When I was teaching at Tower Hamlets College in the nineties, I often used to walk to Chrisp St Market during my lunch break. I liked best taking the quiet road along Poplar High Street past St Matthias Church and down Woodstock Terrace. The most interesting building in the terrace was sandwiched between the end house and the betting shop on the corner of Poplar High St. It looked as if it might once have been a halt for travellers with horses, a staging post perhaps. In fact this building had been a stable and was now used as a haulage yard. 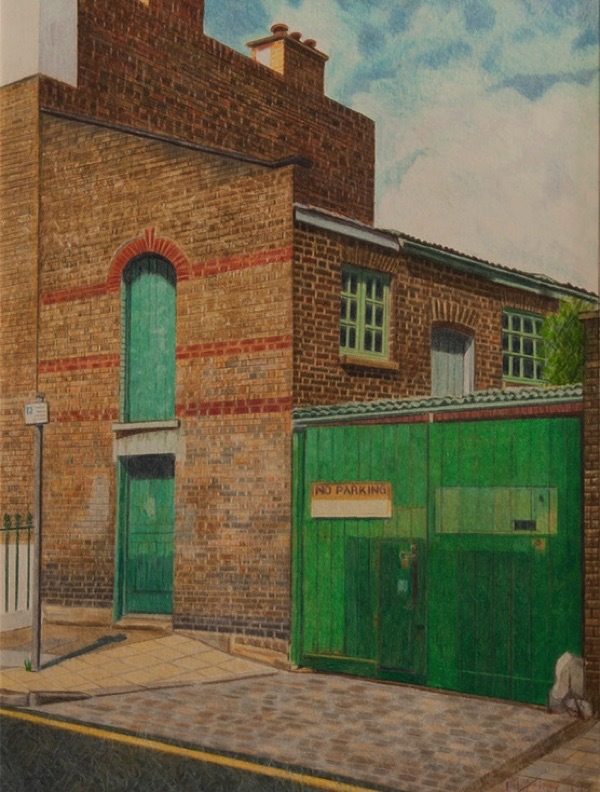 The more of Doreen Fletcher’s work I see the more impressed I am. Better late than never, as the saying goes. I wish I could attend her exhibition but it’s not possible, at least I can view her work here, thank you Gentle Author. Thank you for showing more paintings . I love them and feel as sad as you that the landscape has changed so much . Its money , money , money . 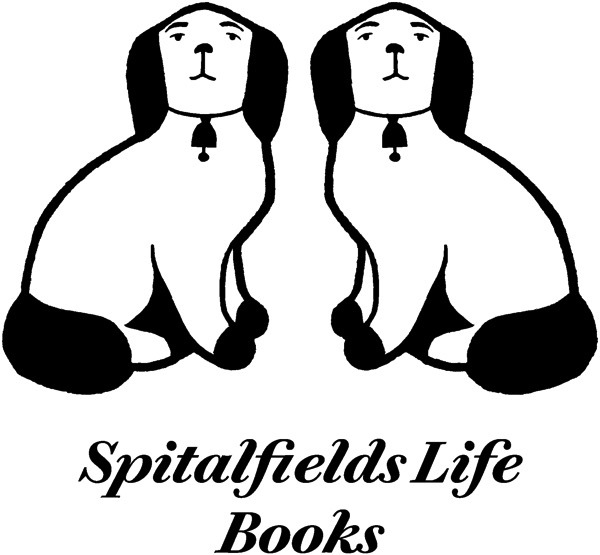 I am not able to come for the private view but want to buy the book . I have been following you over the last few weeks . And hope to visit before the end of the exhibition. The more I see of Doreen’s wonderful work, the more I think that in addition to the meticulous detail, atmosphere etc, they have the quality of stillness, like that found in Dutch interior paintings. 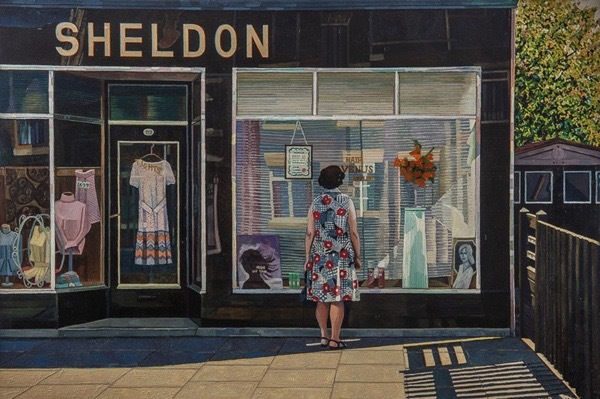 Please could you tell me how one can buy Doreen Fletcher paintings and their price. Unfortunately I won’t be able to attend the exhibition but love her paintings. Best wishes for the success of the exhibition. Wonderful, wonderful images. I am more impressed with each post shown. Thank you for the interesting articles and paintings. I particularly love the artists use of colour. I hope you will be able to curate Doreen Fletcher’s paintings another time at the gallery as unfortunately I was too late to obtain a ticket which must have sold out fast. 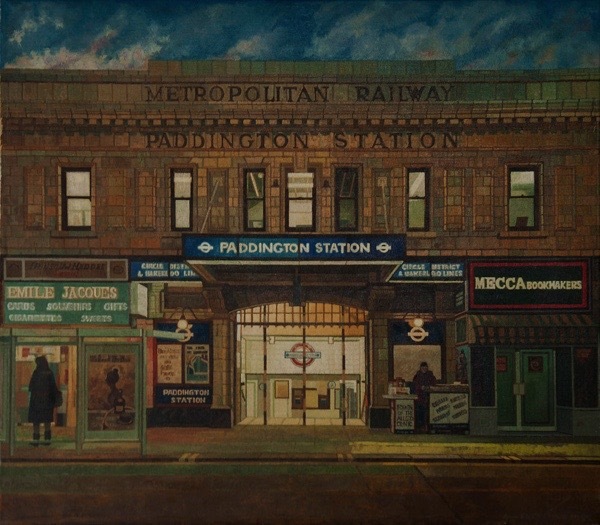 I’m delighted to see the Knutton painting amongst the London pieces. As a Potteries expat myself, I had been wondering what Doreen’s work from her earlier North Staffordshire days would look like. 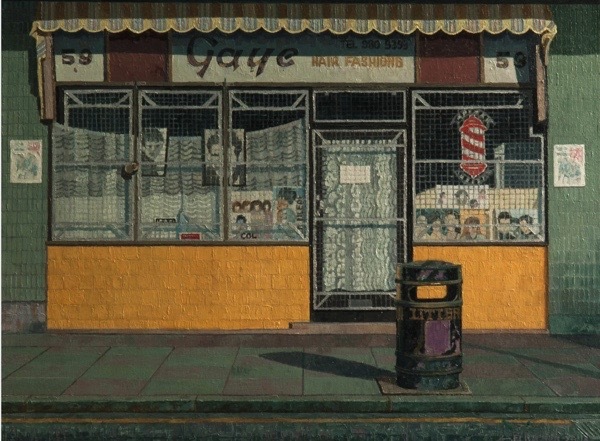 I do hope you’ll share more of Doreen’s paintings from this era and area in due course. Spitalfields and Stoke-on-Trent may be worlds apart in many ways, but Doreen’s consistent work brings out unexpected commonality and humanity. Congratulations, GA and Doreen, on finding each other, and bringing this wonderful body of work before our eyes.